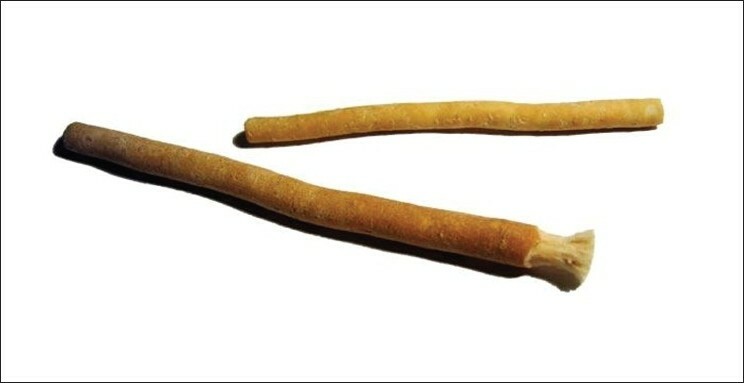 The miswak is a natural toothbrush made from the twigs of the Salvadora persica (Salvadoraceae). Its use predates the inception of Islam and is frequently advocated in the Hadith (the traditions relating to the life of Prophet Muhammad PBUH ). In addition to strengthening the gums, it prevents tooth decay, eliminating toothaches and halt further increase in decay that has already set in. It creates a fragrance in the mouth, eliminates bad odor, improves the sense of taste, and causes the teeth to glow and shine. The other parts of the tree have therapeutic values as corrective, deobstruent, liver tonic, diuretic, analgesic, anthelmintic, astringent, lithontriptic, carminative, diuretic, aphrodisiac, and stomachic. The present review is therefore an effort to give detailed survey of the literature on phytochemistry and pharmacological activities of miswak. It is concluded that miswak (S. persica) reduces the microbial count in different groups and improves the oral health. The extract possesses antibacterial and antiplaque property and it can be used effectively as a natural tool for teeth cleansing and as a natural analgesic for the disturbing toothache. The drug is also reported to possess anti-inflammatory, anticonvulsant, sedative, antiulcer, hypolipidemic, and hypoglycemic activities. The present review showed that it is useful in a number of diseases. Therefore it is imperative that more clinical and pharmacological studies should be conducted to investigate unexploited potential of this plant. The research workers have isolated many phytoconstituents from the plant. Nevertheless further investigations are required to isolate and purify novel pharmacologically active and industrially important compounds. 1. Anonymous. The Wealth of India, a dictionary of Indian raw material and industrial product. Vol. 9: New Delhi Publication and Information Directorate CSIR; 1972. 2. Kirtikar KR, Basu BD. Indian Medicinal Plants, Vol 2, Delhi: Periodical Experts; 1975. p. 1537-9. 3. Khalil AT. Benzylamides from Salvadora persica, Arch Pharm Res 2006;29:952-6. 4. Howaida F, Abdel R, Nils S, Whyatt AM, Francis GW. Volatile Compounds in Crude Salvadora persica Extracts. Pharma Biol 2003;41:399-404. 5. Alali F, Hudaib M, Aburjai T, Khairallah K, Al-Hadidi N. GC-MS Analysis and Antimicrobial Activity of the Essential Oil from the Stem of the Jordanian Toothbrush Tree Salvadora persica. Pharma Biol 2005;42:577-80. 6. Alali F, Al-Lafi T. GC-MS analysis and bioactivity testing of the volatile oil from the leaves of the toothbrush tree Salvadora persica L. Nat Prod Res 2003;17:189-94. 7. Hattab FN. Miswak: The natural toothbrush. J Clin Dent 1997;8:125-9. 8. Darout IA, Christy AA, Skaug N, Egeberg KP. Identification and quantification of some potentially antimicrobial anionic component in Miswak extract. Indian J Pharmacol 2000;32:11-4. 9. Bhandari MM. Flora of the Indian desert. 1st ed. New Delhi: Dhrti Printers; 1990. 10. Kirtikar KR, Basu BD. Indian Medicinal Plants. 2nd ed. Vol. 2: International Book Distributors; 1987. 11. Anonymous. The Wealth of India, a dictionary of Indian raw material and industrial product. Vol. IX. New Delhi: Publication and Information Directorate CSIR; 1976. 12. Kamal MS, Ohtani K, Assaf MH, Kasai R, El-Shanawani MA, Yamasaki K, et al. Lignan glycoside from stems of Salvodora persica L. Phytochemistry 1992;31:2469-71. 13. Abdel-Waheb SM, Selim MA, EI-Fiki NM. Investigation of the flavanoid content of Salvodora persica L. Bull Fac Pharm 1990;28:67-70. 14. Ray AB, Chand L, Dutta SC. Salvodourea. New urea derivative from Salvodora Persica. Chem Ind 1975;12:517-8. 15. Al-Bagieh NH. Antiherpes simplex c-virus type 1 activity of benzyisothicyanate. Biomed Lett 1990;47:67-70. 16. Malik S, Ahmad SS, Haider SI, Muzaffar A. Salvadoricine: A new alkaloid from the leaves of Salvodora Persica. Tetrahedron Lett 1987;28:163-4. 17. Firas A, AL-Bayati, Khudir D, Sulaiman. In vitro antimicrobial activity of salvadora persica L. extracts against some isolated oral pathogens in Iraq. Turk J Biol 2008;32:57-62. 18. Sofrata AH, Claesson RL, Lingström PK, Gustafsson AK. Strong antibacterial effect of miswak against oral microorganisms associated with periodontitis and caries. J Periodontol 2008;79:1474-9. 19. Poureslami HR, Makarem A, Mojab F. Paraclinical effects of Miswak extract on dental plaque. Dent Res J 2007;4:106-10. 20. Darmani H, Nusayr T, Al-Hiyasat AS. Effects of extracts of Miswak and derum on proliferation of Balb/C 3T3 fibroblasts and viability of cariogenic bacteria. Int J Dent Hyg 2006;4:62-6. 21. Almas K, Skaug N, Ahmad I. An in vitro antimicrobial comparison of miswak extract with commercially available non-alcohol mouthrinses. Int J Dent Hyg 2005;3:18-24. 22. 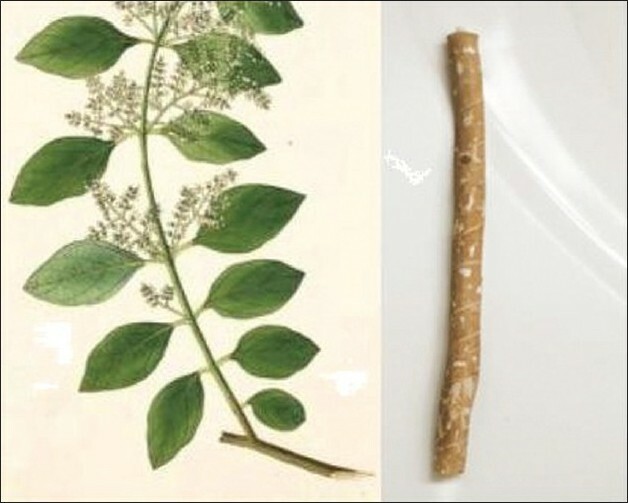 Almas K. The antimicrobial effects of extracts of Azadirachta indica (Neem) and Salvadora persica (Arak) chewing sticks. Indian J Dent Res 1999;10:23-6. 23. Rajabalian S, Mohammadi M, Mozaffari B. Cytotoxicity evaluation of Persica mouthwash on cultured human and mouse cell lines in the presence and absence of fetal calf serum. Indian J Dent Res 2009;20:169-73. 24. Garboui SS, Borg-Karlson AK, Pålsson K. Tick repellent properties of three Libyan plants. J Med Entomol 2009;46:1415-9. 25. Aldini EZ, Ardakani F. Efficacy of miswak (Salvadora persica) in prevention of dental caries, J Shahid Sadoughi Univ Med Sci Hlth Serv Winter 2007;14:24-31. 26. Khalaf F, Al-Shammari, Jassem M, Al-Ansari, Areej K, Al-Khabbaz, et al. Self-reported oral hygiene habits and oral health problems of Kuwaiti adults, Med Princ Pract 2007;16:15-21. 27. Sofrata A, Lingström P, Baljoon M, Gustafsson A. The effect of miswak extract on plaque pH: An in vivo study. Caries Res 2007;41:451-4. 28. Mansour MI, Khateeb TL, Mazraoo AA. The analgesic effects of Miswak. Saudi Dent J 1996;8:87-91. 29. Ezmiril ST, Cheng JC, Wilson SR. Saudi Arabian medicinal plant: Salvodora persica L. Plant Med 1979;35:191-2. 30. Nyman V, Joshi P, Madren LB, Pederen TB. Ethonomedical information and in vitro screening for angiotensin- converting enzyme inhibition of plate utilized as traditional medicine in Gujarat, Rajasthan, and Kerala (India). J Ethanopharmacol 1998;60:3247-63. 31. Ali H, Konig GM, Khalid SA, Wright AD, Kaminsky R. Evaluation of selected Sudanese medicinal plants for their in vitro activity against hemoflagellates, selected bacteria, HIV-1-RT and tyrosine kinase inhibitory, and for cytotoxicity. Ethnopharmacol 2002;83:219-28. 32. Mohammed B, Jan B, Sarah B, Meshari F, Otaibi AL. The effectiveness of chewing stick Miswak on plaque removal. Saudi Dent J 2006;18:125-33. 33. Salman THA, Moataz G, Shaekh AA, Osama M. The antimicrobial effect of water extraction of Salvadora persica (Miswak) as a root canal irrigant. Dent J 2005;5:33-6. 34. Khalessi AM, Pack AR, Thomson WM, Tompkins GR. An in vivo study of the plaque control efficacy of Persica a commercially available herbal mouthwash containing extracts of Salvadora persica. Int Dent J 2004;54:279-83. 35. Otaibi AL. The Miswak (chewing stick) and oral health. Studies on oral hygiene practices of urban Saudi Arabians. Swed Dent J Suppl 2004;167:2-75. 36. Almas K, Al-Zeid Z. The immediate antimicrobial effect of a toothbrush and Miswak on cariogenic bacteria: A clinical study. J Contemp Dent Pract 2004;155:105-14. 37. Kaur S, Abdul Jalil R, Akmar SL. 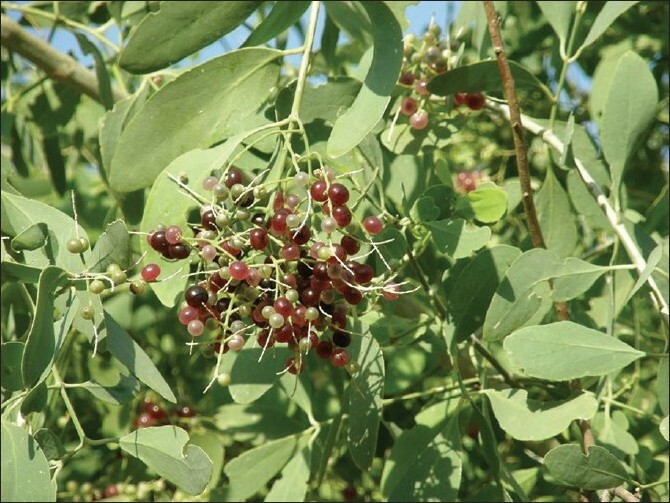 The immediate Term effect of chewing commercially available Meswak (Salvadora persica) on levels of Calcium, Chloride, Phosphate and Thiocyanate in whole saliva. Ann Dent 2004;11:51-9. 38. Darmani H, Al-Hiyasat AS, Elbetieha AM, Alkofahi A. The effect of an extract of Salvadora persica (Meswak, chewing stick) on fertility of male and female mice. Phytomedicine 2003;10:63-5. 39. Monforte MT, Trovato A, Rossitto A, Forestieri AM, Daquino A, Miceli N, et al. Anticonvulsant and sedative effects of Salvadora persica L. stem extracts. Phytother Res 2002;16:395-7. 40. Monforte MT, Miceli N, Mondello MR, Sanogo R, Rossitto A, Galati EM. Antiulcer activity of Salvadora persica on experimental ASA-induced ulcer in rats: Ultrastructural modifications. Pharma Biol 2001;39:289-92. 41. Sanogo R, Monforte MT, Daquino A, Rossitto A, Maur DD, Galati EM. Antiulcer activity of Salvadora persica L. structural modifications. Phytomedicine 1999;6:363-6. 42. Almas K. The effects of extracts of chewing sticks (Salvadora persica) on healthy and periodontally involved human dentine: A SEM study. Indian J Dent Res 2001;12:127-32. 43. Ismail AD, Alfred AC, Skaug NI, Per KE. Identification and quantification of some potentially antimicrobial anionic components in Miswak Extract. Indian J Pharmacol 2000;32:11-4. 44. Galati EM, Monforte MT, Forestieri AM, Miceli N, Bader A, Trovato A. Salvadora persica L. hypolipidemic activity on experimental hypercholesterolemia in rat. Phyto Med 1997;63:27-30. 45. Al-Bagieh NH, Idowu A, Salako NO. Effect of aqueous extract of Miswak on the in vitro growth of Candida albicans. Microbios 1994;80:107-13. 46. Sulaiman MI, Ajabnoor MA, Al Khateeb T. Effects of Salvadora persica extracts on mice exploratory locomotion activities. J Ethnopharmacol 1986;17:263-8. 47. Trovato A, Galati EM, Rossitto A, Monforte MT, Aquino A, Forestieri AM. Hypoglycemic effect of Salvodora Persica in the rat. Phytomedicine 1998;5:129-32. 48. Poosti M, Radvar M, Yaghoobi S, Ahmadi R. Comparing the effect of Chlorhexidine and Persica mouth rinses on periodontal status of fixed orthodontic patients. J Dent 2006;30:183-90.